Above are some new iPhone 6 phone cases by Wolfkamp and Stone (not Wolfamp an Stone as the sticker on the back says!) for Live Wires NZ Ltd. The designs include the popular vintage map design with ‘New Zealand’ on the scroll instead of ‘Kia Ora’ which was on the earlier cases, NZ place names, Kereru/Puriri and Tui/Pohutukawa by Henri Stone. 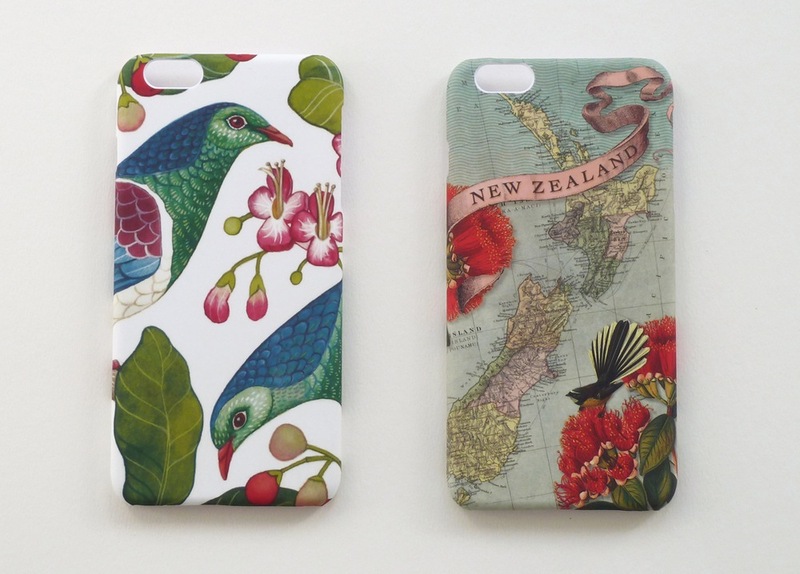 Below are the two designs available for the iPhone 6 Plus, the NZ Vintage Map and the Henri Stone Kereru design. Check out my other posts which show all the phone cases we have done designs for. To find a retailer near you visit LIVE WIRES NZ LTD.
To Buy online we suggest IKO IKO’s online store.